Scurvy cats meet salty sea dogs! When there’s trouble afoot this detective uncovers the truth in super-quick time! New Shaun the Sheep Movie Teaser Trailer Out Now! A brand new teaser trailer for Shaun the Sheep the Movie has been released – take a look at it here and let us know what you think! Visit the New & Improved Aardman Website! 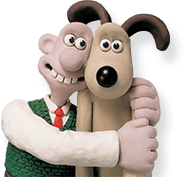 Aardman.com has had a redesign! If you’ve never visited our sister site, or haven’t popped over for a while, why not take a look and let us know what you think? Don’t mess with THIS cactus! Joe sent in this entry which shows what happens when you upgrade your magic wand! Check out this fantastic entry into the competition by Ella O’Neill. 120 individually designed Shaun models will set up home across London and Bristol for a ‘ewe-nique’ arts trail next year.